Jon Thurston is mastering his abilities on both ice and water. The Dunsford, Ont., all-around athlete has his bases covered when it comes to the variety of sports he plays. His openness and involvement in all sports present him with the unique opportunity to represent Canada at a world championship in two sports this year. 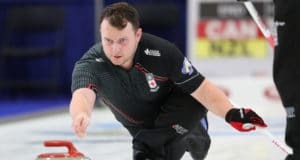 For the first time in his career, Thurston was named to the national wheelchair curling team and travels to Stirling, Scotland this March 3-10 for the 2019 World Wheelchair Curling Championship as Canada’s second. He’s trained for years to earn this opportunity. It’s a goal he set for himself shortly after picking up the sport in 2012. 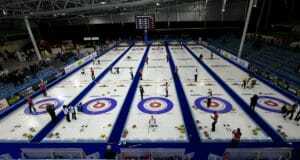 Thurston’s gym coach first encouraged him to try the sport and he quickly fell in love with being on the pebbled ice. After spending one year getting acquainted with the game, he joined Ken Gregory’s competitive team at second (which included Collinda Joseph at third, who was also named to Canada’s wheelchair curling team), winning the 2013 Ontario provincial title and a trip to the Canadian Wheelchair Curling Championship. 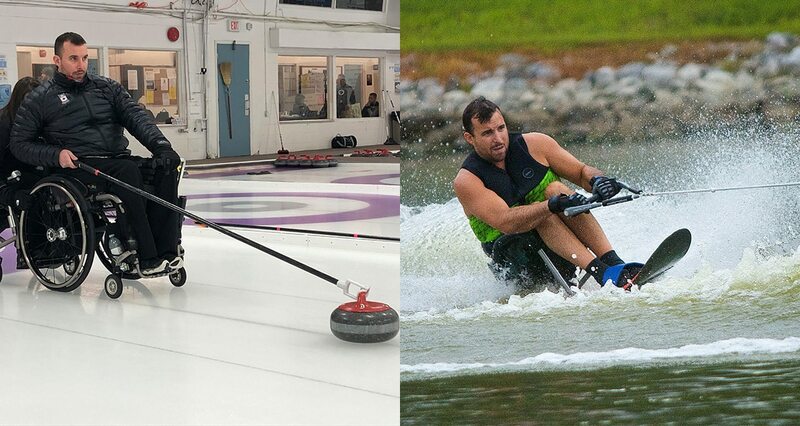 Thurston, with Joseph as skip, made a return trip to the national championship in 2016 and will once against represent Ontario at the 2019 Canadian Wheelchair Curling Championship in Boucherville, Que., from April 26 – May 1, with three-time world and two-time Paralympic champion Jim Armstrong as skip. But prior to that, Thurston and vice-skip Joseph will join skip Mark Ideson, lead Marie Wright, alternate Ina Forrest and coach Wayne Kiel for a run at the world championship. 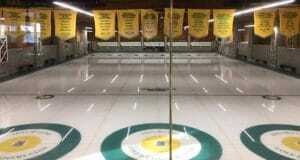 At 35 years old, Thurston is youngest player in the national wheelchair curling program. He participated in selection camps throughout the fall and was among a group of athletes being considered for the final two spots on the national team in January. Thurston’s performance at the final camp in Moose Jaw, Sask., was outstanding. Despite maintaining the lead throughout camp, Thurston wasn’t complacent and played like he had something to prove. Wheelchair curling is Thurston’s first love, but it’s the second world championship he qualified for. Earlier this year Thurston qualified for the 2019 World Water Ski Championships in adaptive slalom and trick skiing in Norway this July. He went from the ice to the water three years ago after trying water skiing at a friend’s cottage. At the time it was a fun activity that he didn’t think would develop any further. However, after trying it a few more times he was invited to a prospect camp with Team Canada in April. He learned more about the nuances and intricacies of slalom and trick skiing and became more independent in his abilities on the waves. He then strapped on the skis at Canadian nationals, qualified for U.S. nationals in Kentucky and used that event to advance to the world championships. Thurston excels at his summer sport because of his desire to remain physically fit and active. Whether he’s golfing, wheelchair boxing or participating in jiu-jitsu, Thurston is always on the go and developing his strength. He’s also received a lot of mental performance training over his career, which he credits to helping him succeed in other sports, including water skiing. While he looks forward to his time on the water, he’s currently focused on the ice. Thurston will bring a new kind of energy to his team when he makes his international debut with the Maple Leaf on his back. It’s certainly noticed and appreciated by Morgan who has been part of numerous teams on the international stage.